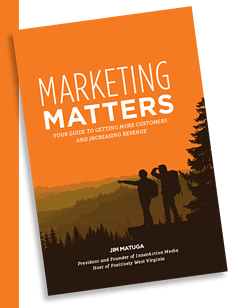 InnerAction Media (IAM) President and Founder, Jim Matuga, published his book, Marketing Matters: Your Guide to Getting More Customers and Increasing Revenue, in January. This 27 chapter book takes business owners step-by-step through developing a marketing strategy, and teaches them how to implement it. “Marketing is necessary to bring people in the doors. Jim Matuga’s work is highly respected and their marketing process works. This book is good for business!” said John Fahey, Vice President of Marketing for United Bank. “I highly recommend Jim and his work. It’s good to have someone like him and his vast marketing experience and knowledge equip my company for success,” said Wayne Stanley, CEO of Industrial Resources. Where Can You Purchase the Marketing Matters Book? Marketing Matters is available for purchase on Amazon. 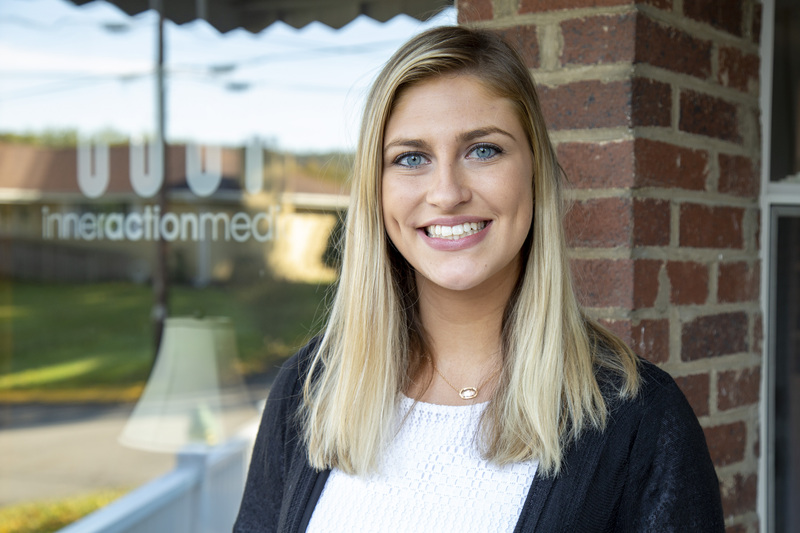 Matuga, a West Virginia University Reed College of Media graduate, is the president and founder of InnerAction Media, as well as the host of the Positively West Virginia podcast, a weekly podcast that highlights people and businesses making a positive contribution to West Virginia. Matuga has held leadership positions with print, radio, direct and digital companies including The Dominion Post, WBOY - 12NEWS, Rutter Media, VALPAK and 100.9 FM. Megan McLean is a senior at West Virginia University from Frederick, Maryland. She is studying strategic communications with an emphasis in advertising. Additionally, she holds two minors in business administration and communication studies. In her free time, Megan enjoys spending time with friends and family and cooking.